On Monday, Discovery Education sent us on an outing around Nashville. 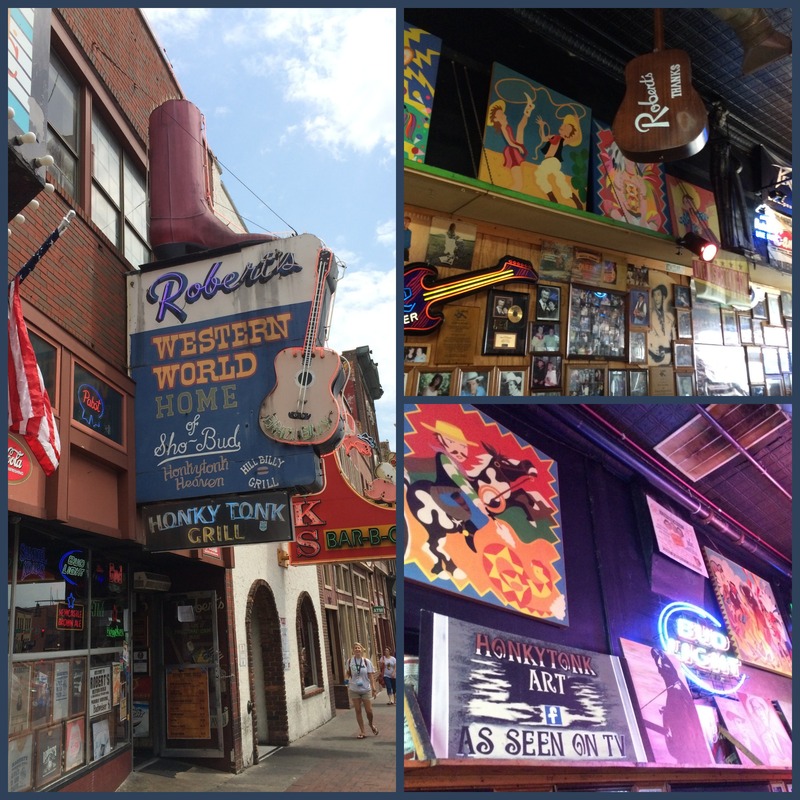 We visited the Ryman Auditorium, the Country Music Hall of Fame, and Honky Tonk Row. Of everything we did on Monday, 30 minutes of my day will stick with me forever. A few of us were walking around Honky Tonk Row around 10:45 am and the establishments were beginning to open and have live musicians. 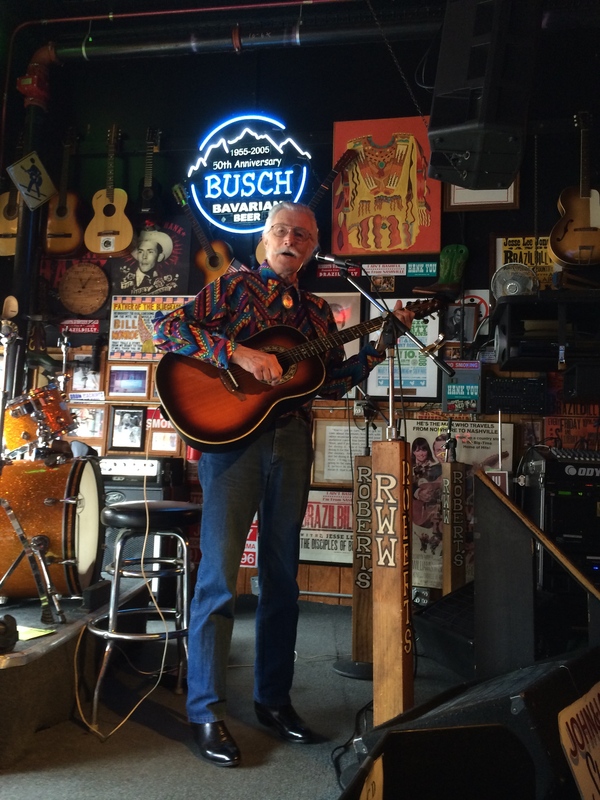 Prior to leaving for Nashville my husband told me I needed to go to a honky tonk and listen to music during the day and he suggested I go to one of his old hangouts called Robert’s Western World. As John played we took in the paintings and shelves of cowboy boots on the wall. Tim, Sandy, and I decided to order a fried bologna sandwich and coke, the house special, to enjoy while we listened to John sing. When ordering we asked the bartender about them. 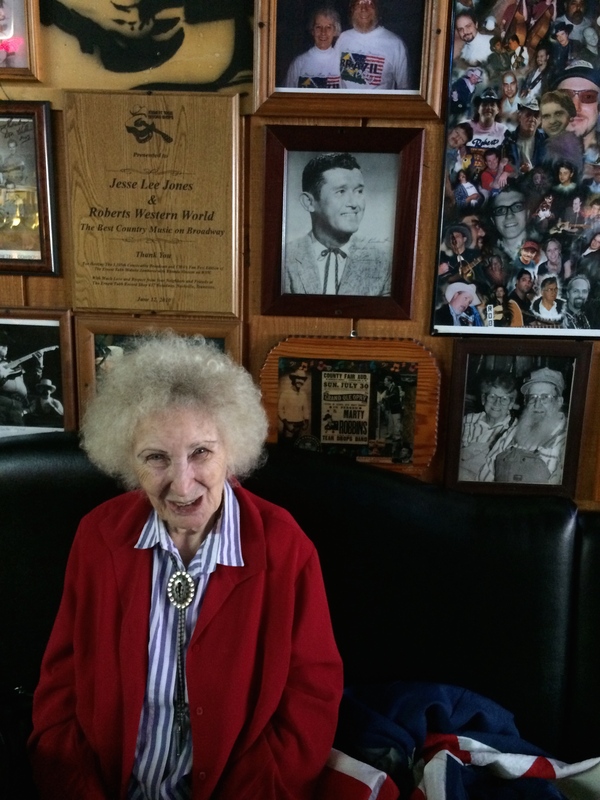 She told us John and Lois were a staple in the bar and the area. Lois used to sing a lot more with John but she doesn’t much anymore due to her health. John continued to play music and ask for requests. Tim requested George Jones and then asked him to play a song written by Lois. When Tim made this request, Lois beamed. John introduced the song by telling us she won an award the specific song he was going to sing and “two fellas in Ireland recorded it.” After John finished the song, Lois walked over to us while we were waiting on our food to tell us the first photo of John and her was on the wall next to where we sat. We moved the boots to see the photo. She told me she thought he was so handsome and they were in love from the moment they met. John and Lois were a team. Lois wrote the songs and John sang/played them. I was sad to leave too soon but we had to get back to the tour bus. I could have listened to John sing all afternoon while I talked with Lois. You never know where you will find the next story that will touch your heart. Lois (pictured to the left) was the sweetest, most adorable woman I have ever met. She was so willing to share herself with me. John was a wonderful artist. Their relationship was beautiful. Those few moments I spent with John and Lois Shepherd made Nashville become ‘real’ to me. It was no longer this tourist destination about cowboys and country music. It was about real people. Their story makes me want to return to Nashville and get to know the city a little better. I took from their story love, respect, and passion for each other and country music. So I ask you, what is your story? If you are interested in listening/watching John and Lois Shepherd check out this YouTube video. The video isn’t that great but you will be able to hear their beautiful voices clearly.